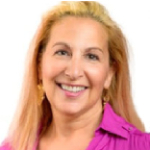 Amy D. Cohen, BFRP, is a Practitioner For Emotional Health. She creates customized remedy blends using plant botanicals that reverse negative emotions, thought patterns & behaviors that hold us back from living life happy. You can see her on TV and hear her on top radio stations throughout the U.S. Amy specializes in relieving your intense anxiousness, severe sadness, children behavior challenges, symptoms of autism and feeling stuck. She is a Certified Practitioner, Speaker, and an accredited teacher, teaching courses on becoming a Practitioner for Emotional Health. Amy also studied homeopathy for three years with the NY School of Homeopathy affiliated with School of Homeopathy in England. She has since formulated an all natural, award-winning body care line infused with a specific blend of flower remedies and essential oils to enhance positivity and move us to feeling peace, calm and joy, as well as other Emotional Health Care Products sold through Amazon. She maintains a consulting practice in New Jersey, Chicago(IL) and does telephone/skype consultations worldwide. She can be emailed at [email protected]; or skype "amy.c.50" or phone at 1-800-474-1667, whether for a free consultation or to come and speak at your group. Her website is strongestminds.com. Amy maintains a consulting practice in Illinois and does telephone consultations worldwide. You can connect with her on Facebook, LinkedIn, Instagram, Twitter, Youtube, Google+ and Pinterest. 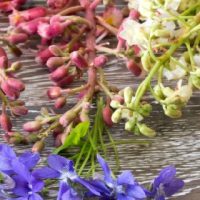 How to Break your Bad Habits Using Flower Remedies?